Tommy Robredo will appear in a tournamament's stage of the final eight for the first time since September 2017. 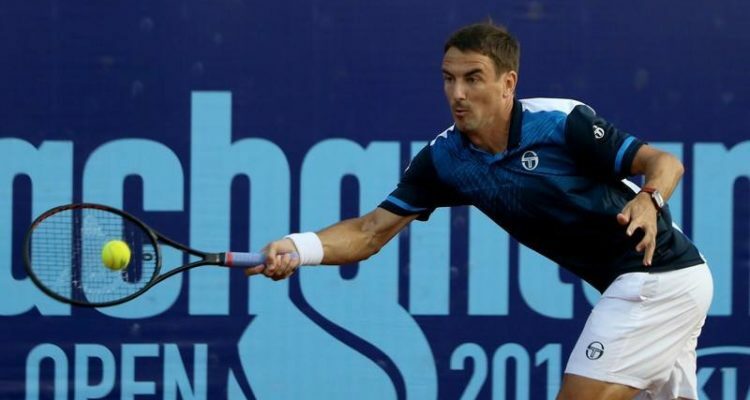 Spanish veteran Tommy Robredo and Chilean youngster Christian Garin headlined Wednesday’s second round action of the $50,000 Cachantun Open by KIA, held on clay courts at the Club Deportivo Manquehue in Santiago de Chile. Robredo, former World No. 5, outlasted the local wild card entry 6-3, 4-6, 6-1. The 35-year-old Hostalric native broke his opponent’s serve eight times to prevail after one hour and 56 minutes. Robredo will next take on Italian qualifier Gian Marco Moroni, who eased past Austrian Sebastian Ofner 6-2, 6-1. Garin started to struggle with an injury in the middle of the opening set. “Unfortunately injured his right ankle. We checked it and apparently it’s a sprain, tomorrow’s exams will determine the magnitude,” tournament doctor Daniel Humeres told. No. 2 seed Marco Cecchinato is the highest ranked player left in the singles draw after top seed Gastao Elias of Portugal had crashed out on Tuesday, losing to Jozef Kovalik from Slovakia. The 25-year-old Italian fought past #NextGenATP Spaniard Carlos Taberner 6-3, 2-6, 6-4. Cecchinato won four points more than his opponent to secure victory in exactly two hours of play. Next up for Cecchinato will be Argentine Guido Andreozzi, who clinched his fifth ATP Challenger crown at the Punta Open last weekend. Defending champion Rogerio Dutra Silva also returned to the quarterfinals. The No. 3 seed from Brazil defeated lucky loser Hernan Casanova of Argentina 6-3, 6-4. The encounter lasted one hour and 26 minutes. Dutra Silva will now face Spanish qualifier Carlos Gomez-Herrera. This entry was posted in ATP Challenger Santiago, ATP Challenger Tour and tagged ATP Challenger Tour, Cachantun Open, Santiago, Tommy Robredo.